I thought it would be nice to take a little break from the limericks, and put up a new Sketchbook Show and Tell Post. 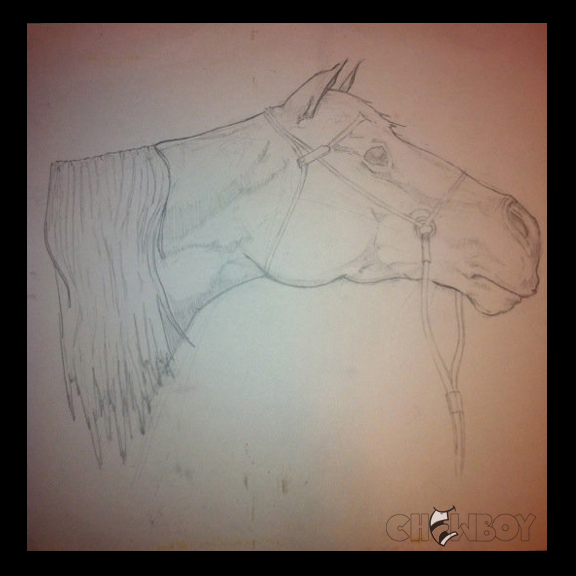 Here is a horse drawing I did for a friend back in 2002 while I was briefly living in Concord, CA. Not quite physically accurate for a horse, but you get the idea...right?! ?